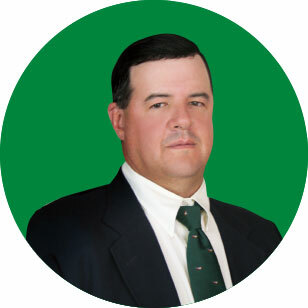 Glenn DeLee was appointed to the DEMCO Board of Directors in August 2010. He is currently a member of the Board's Purchasing Committee, the Rate Committee, the Manager’s Evaluation Committee, and the Annual Meeting and Bylaws Committee. A native of Clinton, DeLee has worked for the State Department of Transportation and Development as a Project Engineer for the past 29 years, serving the citizens of East and West Feliciana Parishes. DeLee is an active member of Clear Creek United Methodist Church and enjoys coaching and participating in sports with his teenage children. He served several years as president of the East Feliciana Little League. District 6 is located south of the State of Mississippi, east of Louisiana Highways 68 and 955, west of St. Helena Parish and north of Louisiana Highways 68, 955, 67 and 10. This includes the Ethel, Jackson, McManus, Norwood and Wilson areas.